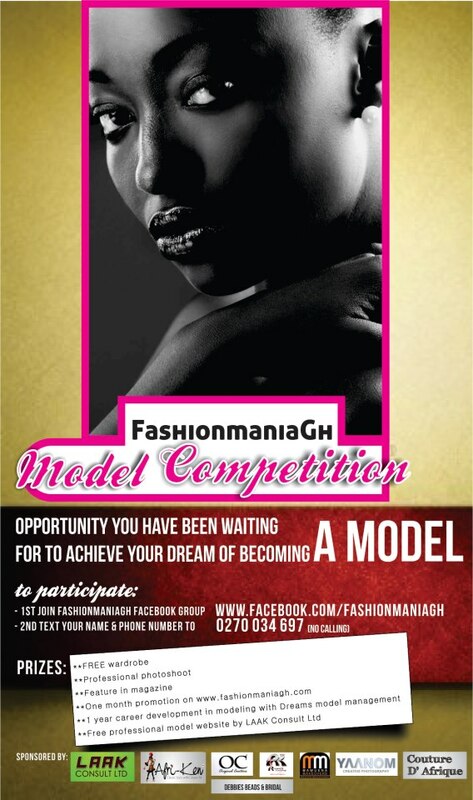 FashionManiaGh model competition is designed to help aspiring models enter the industry safely, effectively and affordably. The search is on for a refined, stylist, well mannered and tasteful in appearance models who can display effortless beauty and simplicity in movement. The winner will see specific opportunity promotions and celebrity driven opportunities. Photo shoots and model make over’s designed to jump start your career in the creative industry. 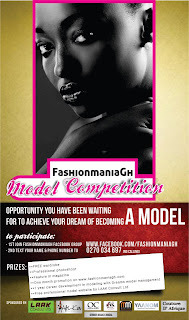 FashionmaniaGh model competition is open to female only irrespective of your colour, religion or country BUT most be resident of Ghana. 2. Free wardrobe from any of our sponsors Rassel klothing, Original Couture, AfriKen Novelty, Couture D' Afrique, and Exquisite Beads from Debbies Beads.